Springtime is the BEST time! Except for one thing...I am new to this thing I used to always here people talking about...I think they call them "allergies" and they're awful! I never used to have them, and then after living in Alabama and South Carolina for a total of 8 years, I developed some sort of outdoor allergy in Florida! The state I grew up in now gives me the sneezies for about two whole months! Other than that one, minor issue we won't discuss anymore...I love spring! My husband and I are spring birthdays, and so is my two year old daughter! Our son, due in September, will be the "odd man out" in this family! This time of year is especially great for teachers. 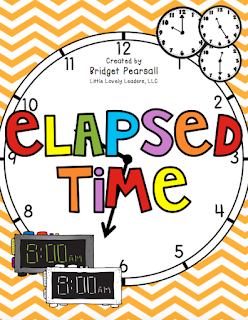 It can be rough...getting close to the end of the year but not quite close enough...test prep...kids start pushing your buttons you didn't know you had...all of the "end of year" teacher stuff we have to do with paperwork, advancement, etc.... in other words...why do I love spring? For the FLOWERS and the SUNSHINE and the WEATHER! 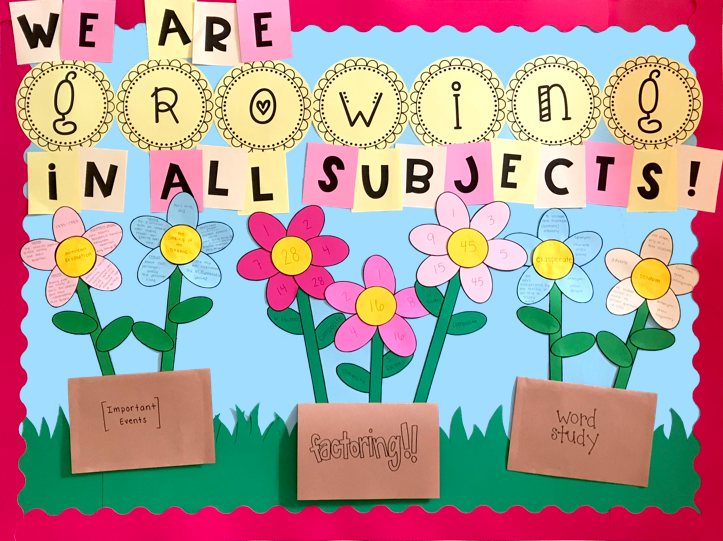 You can see below in the boomerang videos that I created them so that you can flip up the flower pot to see the student's work, which is also displayed neatly on the flower petals and leaves themselves. I want to make this as easy as possible for you all, since this IS such a crazy time of the year. Below you can find the lettering I used for the bulletin board you saw in the first image as a FREEBIE with this blog post. I used colored copy paper / Astrobrights to create them easily with black and white ink only! This gives you the leeway to print them on whichever colors you choose! 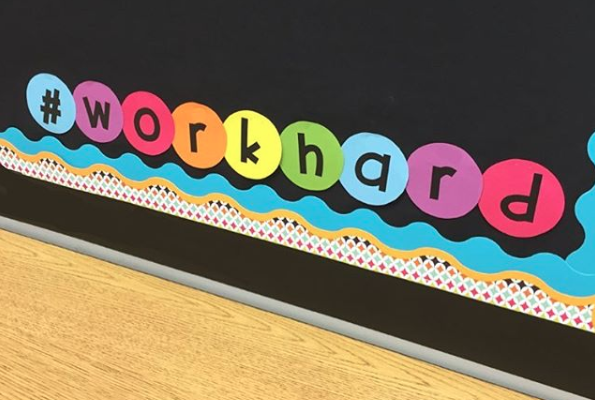 A super easy way to make a bulletin board cute AND meaningful is to add a little hashtag message in the corner! 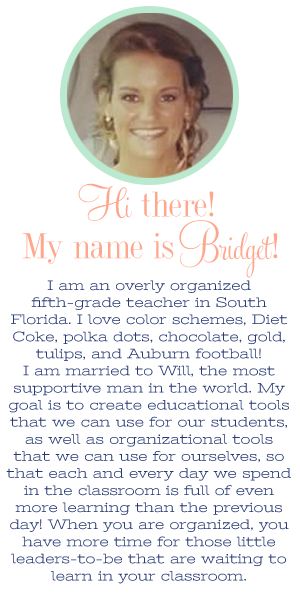 It can be at the top or bottom of a bulletin board, in a doorway, etc! Anywhere your kids may look, where you otherwise wouldn't normally have a decoration. Use your key classroom phrases or vocabulary around your room to keep your messages meaningful! But also...HOW CUTE?! You can totally do this on your own to make it match your room; however, if you'd like the one pictured above, I have linked it below! You can either print out ready-made circles OR save paper by typing directly onto the editable circles I have in the pack, also. Whichever works best for you! I have never been more serious about a statement than the title of this blog post. I slept better, felt better, ate better...everything! I should explain...the eating better part is mostly because my mom is amazing and cooked perfect meals for all of us while we were there. The sleeping part is definitely because Flynn slept SO well there, in the closet of our bedroom, so Will and I had some of the best sleeps ever! We slept in until almost TEN every single day! What?!?! 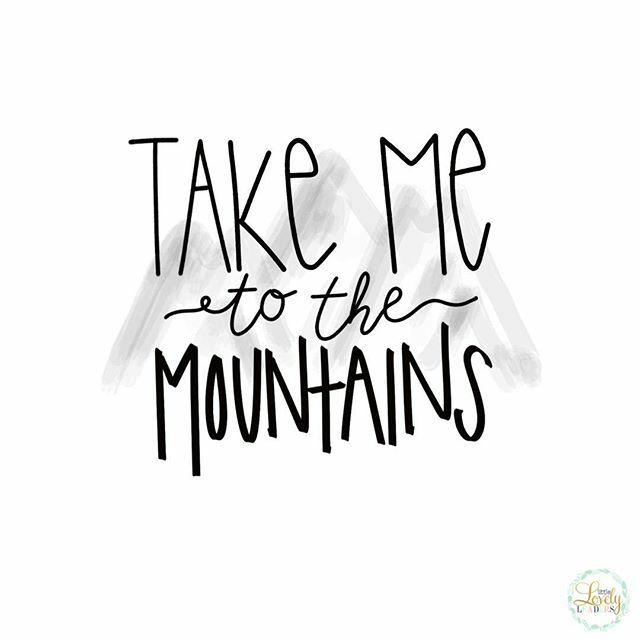 Each year my family spends a week together in the mountains, at my parents' summer home. 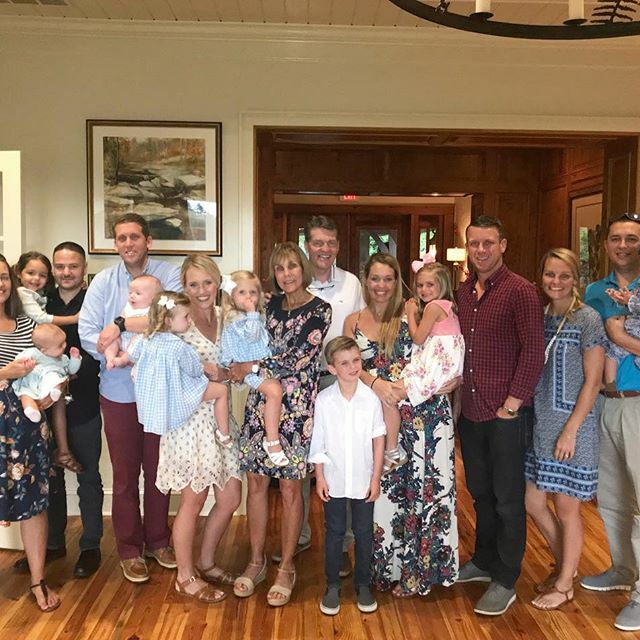 It is always such a special week because we are all together, all in one house, all day! The kids have so much fun and it is truly amazing to watch the little cousins all growing up together! Flynn is not yet part of the "big kid" group, but I was so excited that she was walking around so well by the time of this trip. So that's the group! We are getting bigger and bigger in size each year. 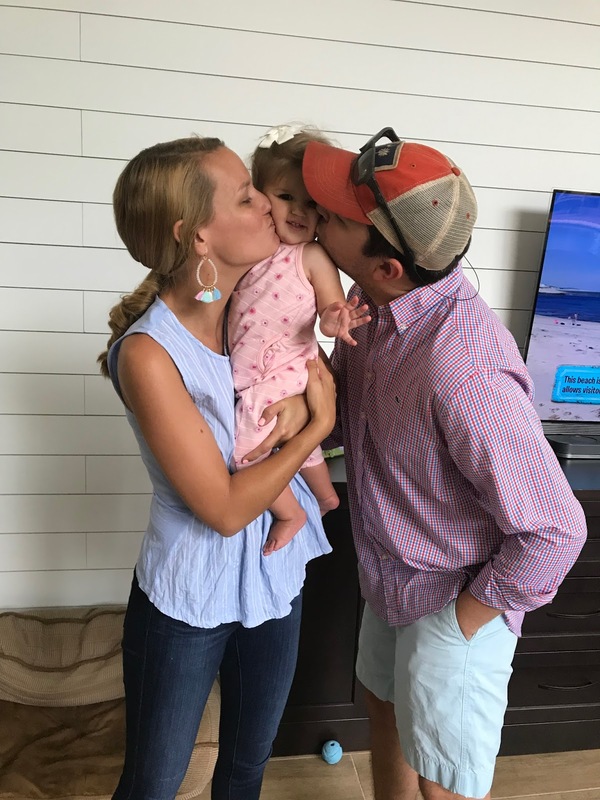 2018 alone will bring us THREE new babies! We are so so lucky. I love that I grew up to be close with my sisters, have been able to become close with my brother-in-laws, and now I get to watch Flynn grow up close with her cousins! There is nothing more special than family. My favorite thing we did while we were in the mountains was take two boats out (yes, we had to take two since we are a big group). The older kids got to ride on Big Mable (if you're a lake lover, you definitely know her....haha! If you aren't familiar, she is the blow up couch you can pull behind a boat) and they had so much fun! 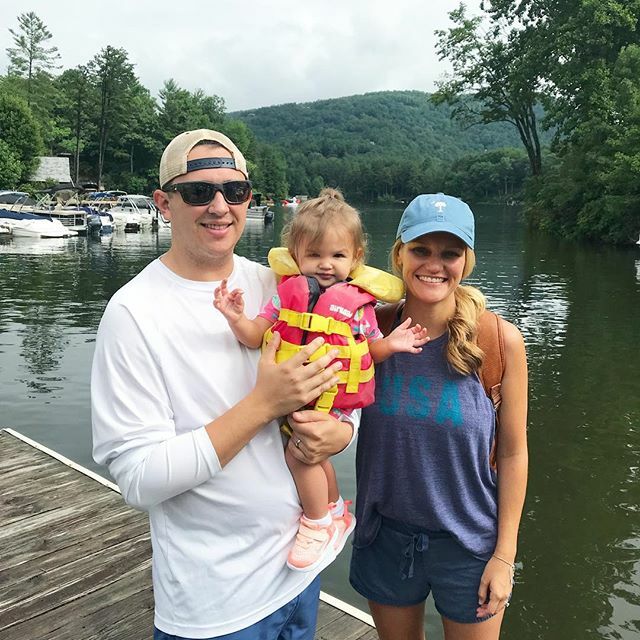 We weren't sure what Flynn would think of her first boat ride, but she loved it! She said "weeee" the entire time, while her hair blew in the wind! This is exactly what she does at Disney anytime a ride is fast, or in the grocery store when I push the cart quickly, haha! She amazes me every day! 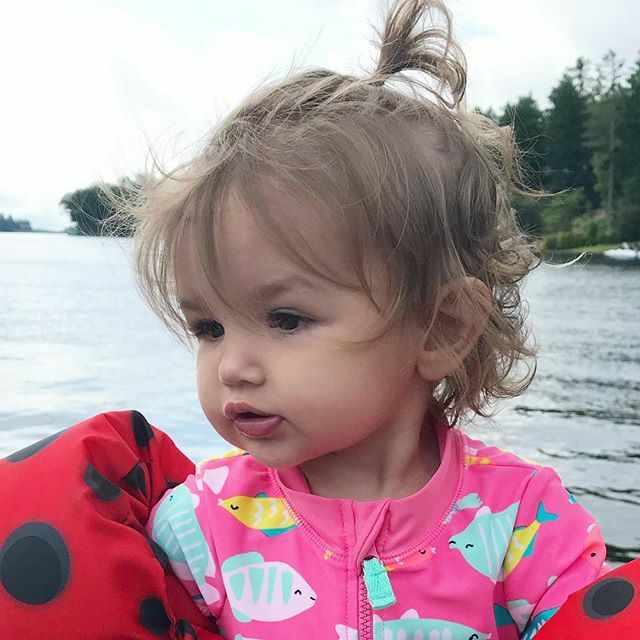 Will and I dream of living on a lake, with a boat, one day...so we are so happy Flynn liked it! We also celebrated July 4th with everyone! Flynn got her first balloon creation from a balloon fairy, and loved it! 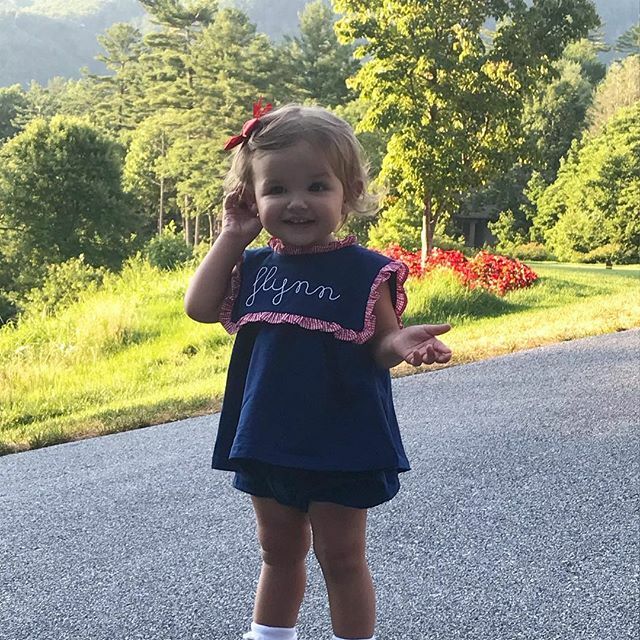 Her outfit is from one of my favorite shops, Cecil and Lou! I LOVE her walking!!!!! She is so fun! I am getting to see so much more of her personality! So I know this wasn't teaching related...but we all need a summer break! 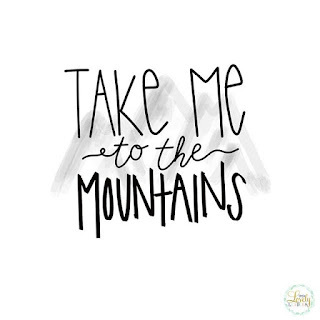 I wish I could still be in the mountains, but I'll settle for south Florida with my huge family for now ;) !! Thanks for catching up with me! Hope everyone is having a wonderful summer and taking advantage of extra time with your family! 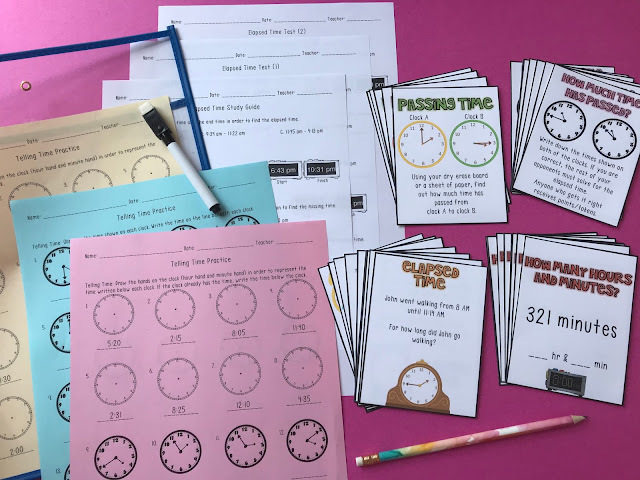 One of my favorite end of the year gifts for my students is now posted online! It is pretty self-explanatory so I am going to save you from my jib-jab this time around, haha! 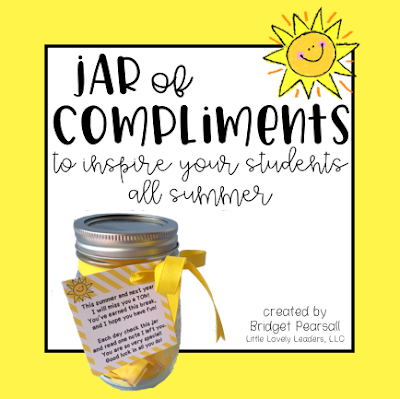 This gift is great because it gives you the chance to inspire your students all summer long, every time they read a piece of paper from their jar. 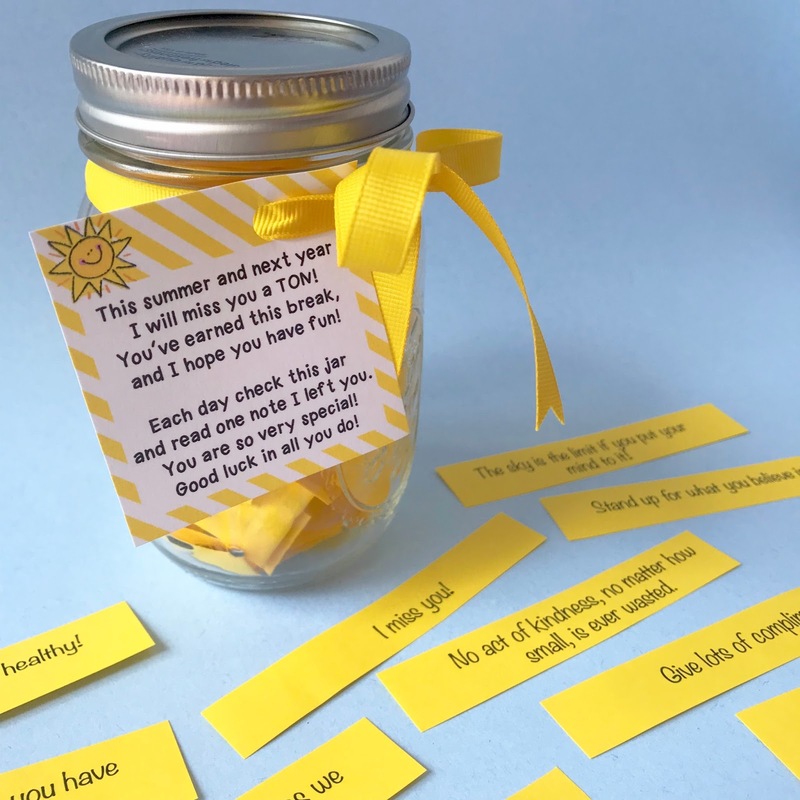 Also, it shows a lot of love and effort from you, as their teacher, because you can make it super personal if you add in some of your own phrases they are familiar with you saying, as well! You can even handwrite a few! 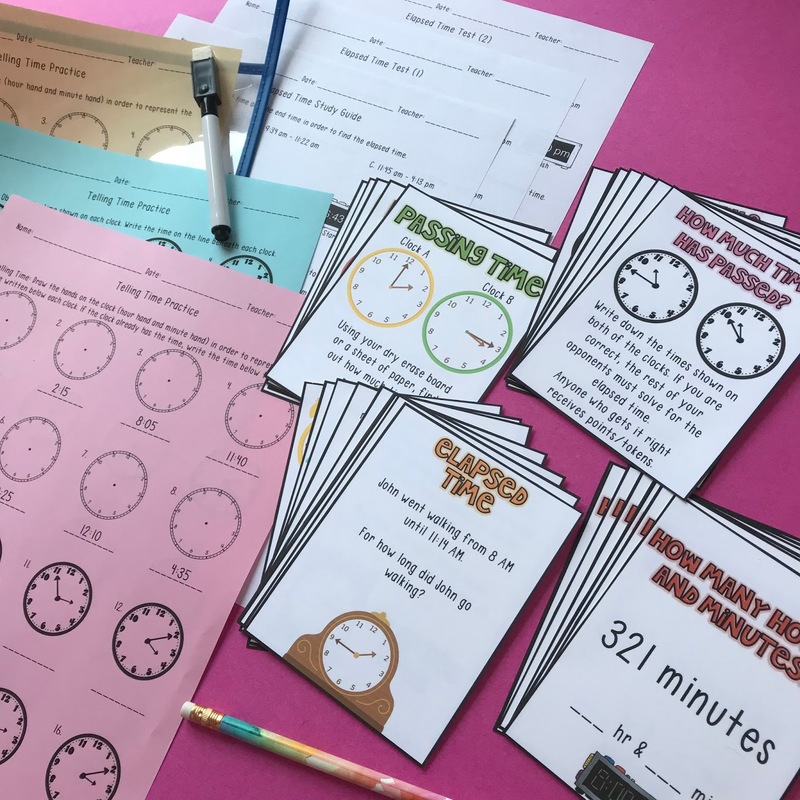 New free item on Teachers Pay Teachers today! 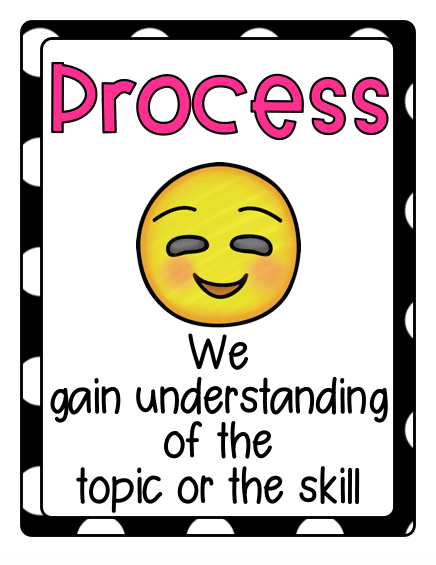 These learning process posters are one of the smallest, yet most important, pieces in my classroom. I refer to them daily (mostly during math lessons when kids start to get frustrated that they aren't "getting it" as quickly as others). When you explain these posters to the students, you'd need to go slowly through each step. 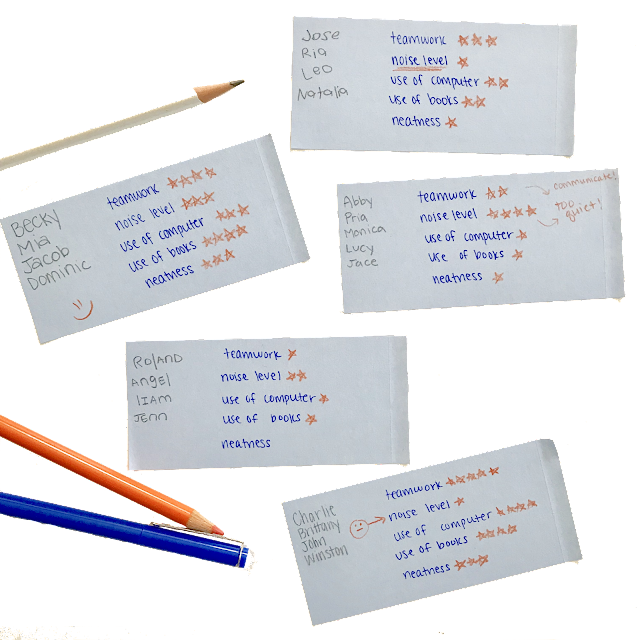 Once you've explained it to them once, then you can just refer to them quickly when you need to throughout the year. Input: "When information is going into your ears and you let it settle in your brain before it goes out the other ear. Whether I am reading out loud to you, when you are watching a movie, when you are listening to me teach a lesson, or when you are reading a book or set of directions, you are using this step of the learning process. You have to let it enter your mind and think about it so it doesn't leave out the other ear...otherwise, you'll never be able to enter the next step." Process: "When you start to understand the topic or skill you are learning about. Even if it just that the first step of the math problem makes sense, then you are in this stage. If you understand what is going on in a story, then you are in this step. You are in this step for a long time sometimes. You may think you 'get it' but sometimes have trouble doing it on your own. That is OK!" 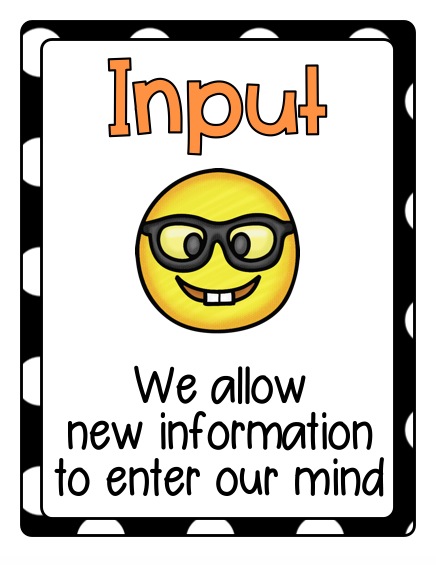 Output: "When you 'get it' and could even maybe teach someone else how to do it! If you can tell someone about a story you read or a movie you saw, remembering all of the important events or details. When you can teach someone or help someone with their math work. You will work hard to get to this stage, but once you are here, you are here forever with that skill!" It is important for students to know that it is OK to be in "limbo" with their learning sometimes. Sometimes they are stuck in the process stage a lot longer than they want to be, and they start to doubt themselves. It is important you remind them they are on step 2 and only have one step to go! 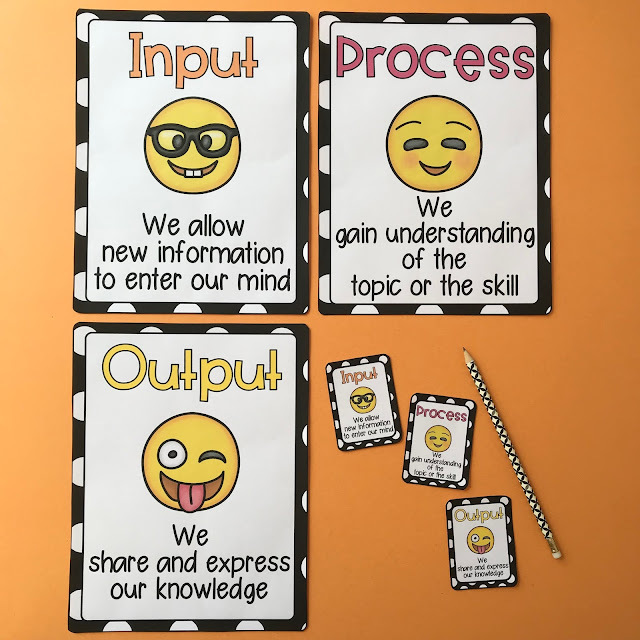 It is also important for you as a teacher to understand which step the student is on. You may think they know what they are reading and get frustrated with them for not being able to answer questions you ask with details or evidence...however, maybe they do not even know what they are reading about? Maybe you think they are in the process stage, but they are really in the input stage! There are also little versions of the posters included. 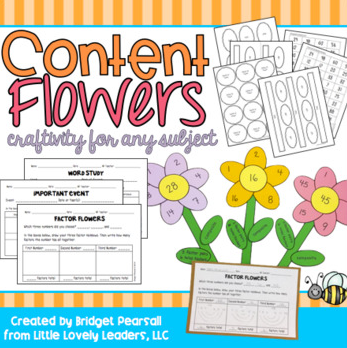 These are for those times when you decide you want the kids to have copies of these in their journals or on their desk for personal reference. Or maybe you want them to take them home so they can be reminded while they work on homework. Whatever your reason, they're here if you need them! Also....gotta tell ya...I turned 30 last weekend and it feels great! I feel so lucky to have my little family (dog and cat not pictured...haha) and it makes getting older feel so amazing actually! I feel like each year makes me luckier to be healthy and have the family I have around me!